Carefully and quickly, that’s how we work. Nail pops, those nagging circles that appear down the drywall seams will be dealt with; drywall gouges and deep cracks will be filled and sanded silky smooth; corner bead repair, the metal support on wall corners that is not subject to damage per se but any hard knock on the wall's corner can cause the drywall compound to loosen or fall out. 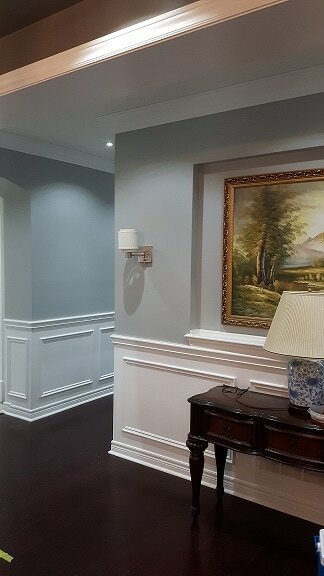 Trims and sills will not be neglected either, part of our professional painting services include staining and repairs and we apply our experience to any damage or worn woodwork we see along the way to make sure we leave you with the freshest finish possible. Doors, shelves and thresholds can be refinished if necessary and will be included in our estimate if we see anything needing attention. 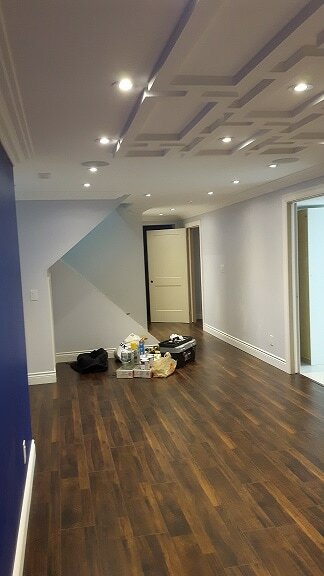 No shortcuts for us, the finished work must pass a detailed inspection by us before we say 'tout finis! 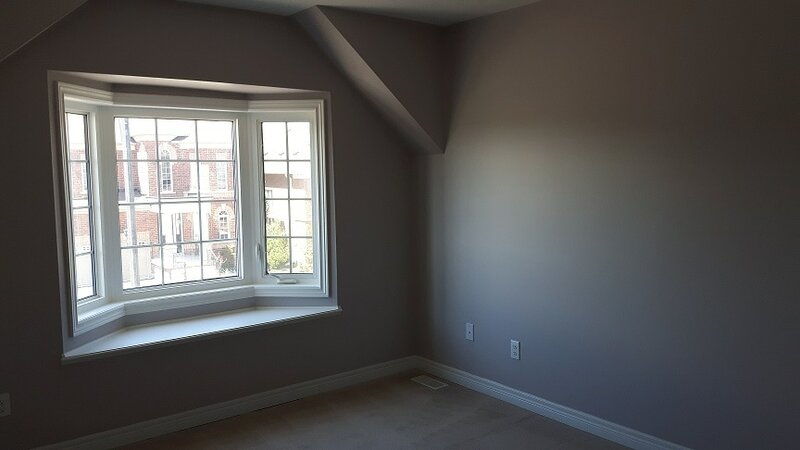 As a home interior painter, we know that Interior painting requires the highest quality materials and mixtures to ensure that interior walls will jump out. 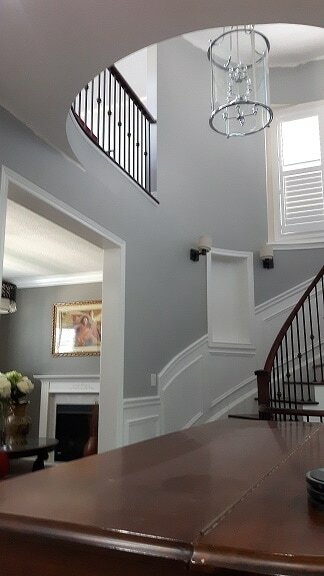 We will discuss the paints that best suit your home; the final decision is always the homeowner’s but we do hope that, as experienced painters, you will take our advice regarding finish and lasting ability in order to make sure that everything is done properly. Naturally, cost can be an issue when you consider cost per gallon versus coverage. 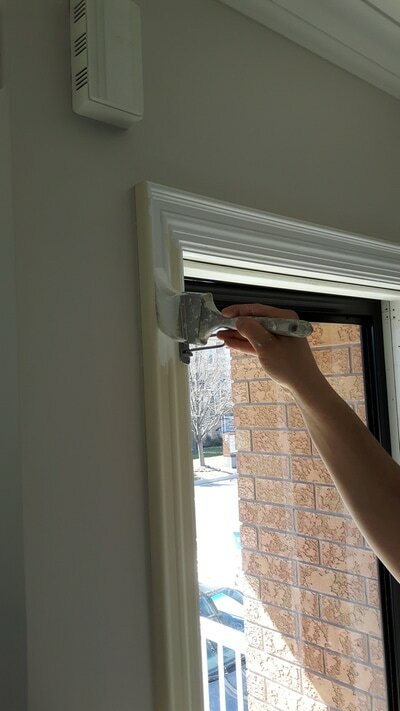 Drywall repairs and good preparation is a large part of the process. Imperfections from improper sanding will be picked up by the light. 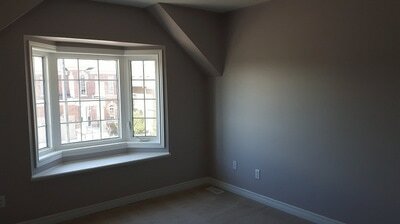 Walls should be primed and ready for paint, especially if going to a lighter color. Most colors require two coats in order to create that fresh glowing appearance. 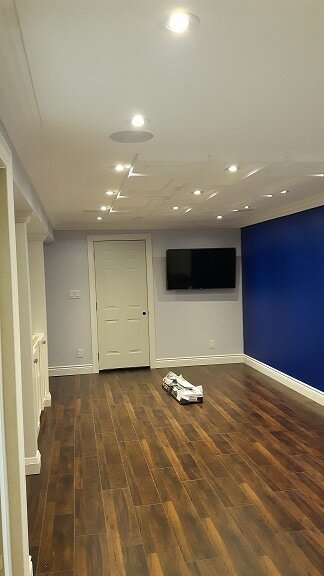 Simple touch-ups, or complete interior make-overs are welcome opportunities for us and you can be sure we will offer an affordable estimate you will be mare than happy with. Color selection is never as easy as you might think. After having painted a lot of places and having seen a lot of colors, we know that you may be reeling with choices. 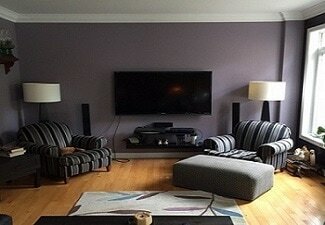 Feel free to use our experience when selecting colors and finishes, it makes us feel good. Bottom line is that our company can provide long-lasting, quality work and service at the affordable price you are hoping for. 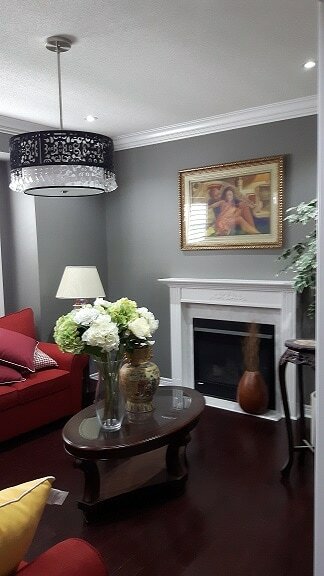 When are asked, what is the cost to paint a room, or the interior of a house, the simple answer is: we need to see the rooms, trim and ceilings etc. However, we can usually give a pretty good idea over the phone with a few simple questions. It’s always best to get an overall estimate as opposed to an hourly to make sure you can feel comfortable for the final cost. For rough estimates, think around $350 to $500 per room plus paint. Wallpaper is an interesting, statement making medium for room decor. Whether it's a Classic traditional covering; or bold and graphic designs; or sports motifs; zoo settings; or a bamboo look; wallpaper can turn a room into something quite different in ways that paint cannot. We can agree that wallpaper is back in a big way since it kind of lost its allure in the mid 90's. Textures and patterns may reflect a more personal statement in home (or certain office) decor such as superheroes for a child's motif, or athletics may be the topic for the athlete or teen in the home. Victorian and Art-Deco themes for dining areas has been a popular; whatever one's taste in decorating may be, there are no shortages of possibilities. 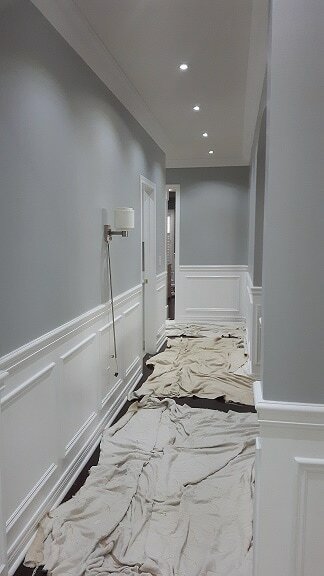 It takes a steady hand and practiced coordination to hang wallpaper with fine trims and seamless paper joins. Ordering the right amount of paper can be left to the pros ensuring all paper makes it on to the wall without wastage. 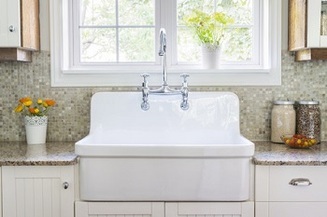 Thinking of remodeling the bathroom or kitchen? If you have looked into the cost of doing a reno, you know that bathroom and kitchen cabinets are usually very expensive to replace making total renovation very overwhelming. See how we can save you big bucks on cabinet painting.